Talking about money is awkward and anxiety-producing, but early conversations and education are imperative for the future of families and economies. Take part in an interactive session with the founder of Launch Generation, high caliber programming for teenagers focused on financial literacy, leadership, and entrepreneurship. Hear stories and best practices from years of experience working with families, from the transfer of wealth to the transfer of a business. Leave with an understanding of the concerns families have and the advice and resources you can recommend as a trusted advisor. Learn from industry expert Whitney Webb, Founder of Launch Generation, about preparing the next generation of Wealth Holders and Business Owners. This meeting is sponsored by The Jewish Community Foundation. This meeting will be held at the Jewish Community Foundation. Time: 7:30 A.M. – 9:30 A.M. The cost will change to $40 at the door. EPI Chapters bring together a local community of professional advisors to collaborate, address unique needs and topics, develop best practices, build awareness, experience valuable professional continuing education, and build their COI network with like-minded individuals within the exit planning industry and related professions. Whether you are a CEPA member of EPI or not, all are welcome to attend. Join the next local chapter meeting or event in your area. To learn more about upcoming events, visit www.EPILosAngeles.org. The EPI Local Chapter is different than other groups because it brings together a diverse group of professionals from a wide range of specialties that can naturally work collaboratively on exit planning, succession planning, value growth, transaction or any engagement from both sides of the equation. The chapter meets regularly to network, reconnect, grow knowledge, and sharpen their skills with a common goal: Change the outcome for transitioning business owners. Make plans to join us for future events and connect with the local leadership by visiting www.EPILosAngeles.org. Meet Peter Fischer: Peter R. Fischer is a partner with Sklar Kirsh LLP and a member of the Firm’s real estate and corporate practice groups. He is an experienced commercial real estate transactional attorney, whose clients include developers, operators, syndicators, private equity providers, investors, and lenders. Peter’s practice involves all aspects of the real estate industry, including acquisitions, dispositions, equity investments, syndications, fund formation, development, joint ventures, leasing, and financing (including Fannie Mae, Freddie Mac, and EB-5 transactions), and he routinely works on transactions involving multi-family, assisted living, construction, industrial, office, and raw land, as well as mobile homes and self-storage facilities. In the corporate realm, Peter focuses on private, mid-market M&A matters, stock and asset transactions, fund formation, syndication, and private placements. Peter represents a broad range of companies, funds, investors, and entrepreneurs, and he also counsels his clients on crisis management, pre-litigation workouts, and investor, partnership, and shareholder disputes. Whitney is the founder of Launch Generation, which produces unique summer programs for teenagers focused on financial literacy, leadership, and entrepreneurship. She is also the founder of Launch Education, which provides private education and coaching for families in regards to wealth transfer and financial education. She has been working with teens and young adults since 2012 in the areas of financial, philanthropic, and entrepreneurial education. Whitney was the Director of Operations at Independent Means, a private company educating and preparing families for the responsibilities and challenges of wealth transfer. She was the lead trainer with 30+ families and the director of global programs including Camp Start-Up and Fashion and Finance. Prior to her work in financial education, Whitney was a Kiva Fellow in Kigali, Rwanda where she worked to strengthen partnerships and increase the reach of microfinance through employee training and industry research. 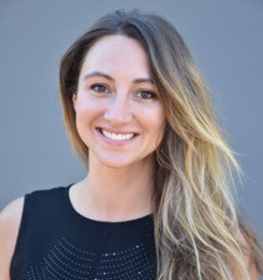 Whitney graduated from the University of Florida and began her career with Porter Orlin hedge fund in New York City, where she performed investment research for the managing director, Alex Porter. Whitney has led several volunteer educational programs including financial literacy training in Cambodia and Rwanda and led and developed a parallel conference track for teens and kids of delegates at Opportunity Collaboration, an international convening of leaders in social change and innovation. She is currently a board member and volunteer business mentor at Youth Interactive, a non-profit teen center in Santa Barbara working to promote leadership and entrepreneurial skills. Whitney is an advisor for the Ruth and Hal Launders charitable trust located in Herndon, Virginia. She has been a speaker and panelist at the FOX Wealth Advisor Forum, Youth Philanthropy Connect Conference, and the Hawaii Tax Institute. NOTE: Proper documentation must be collected and submitted to qualify for continuing education. For questions regarding awarded continuing education credits, please contact Josh Koza at JKoza@Exit-Planning-Institute.org. Want more exit planning education?